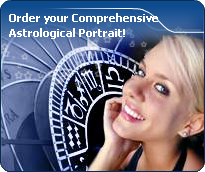 You will find on these pages the celebrity horoscopes having Neptune in the 12 houses with an interactive chart and excerpts of astrological portrait. With Neptune, everything is slowed down, blurred, nebulous and shrouded in mystery. He represents all things unreal and incomprehensible, as well as imagination, inspiration, faith, religion and mysticism. Neptunian people are gentle, dreamy, mystical, some sort of cranks who demonstrate selflessness and generosity. They are most sensitive and grasp the subtleties of the surrounding atmosphere. Their sense of psychology is highly developed, and they particularly appreciate music. However, they can also be wimpish, malleable, impressionable, gullible and easy to fool, and in some rare cases, they have no sense of realities. Neptune gives a tendency to alcohol and drug addictions, artificial paradises and suicide. He causes depression, nervous breakdowns and psychological uneasiness. On the mundane plane, he is associated with slow, strange and merely noticeable changes, most often, religious or spiritual ones.